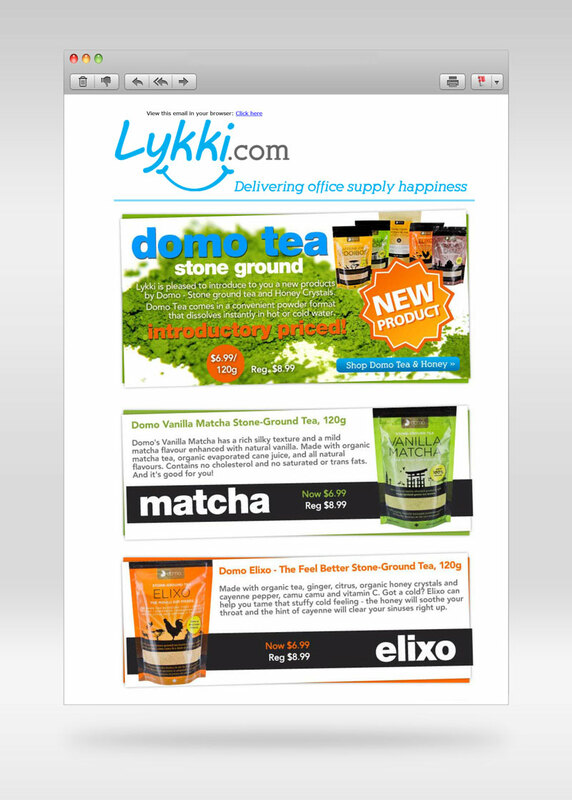 Design email campaigns for various company promotions for 2014-2015 period (bi-weekly). 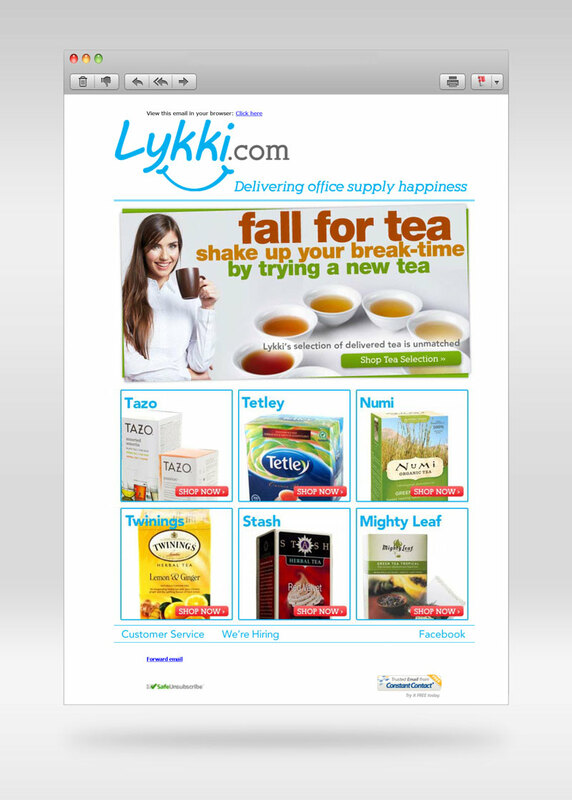 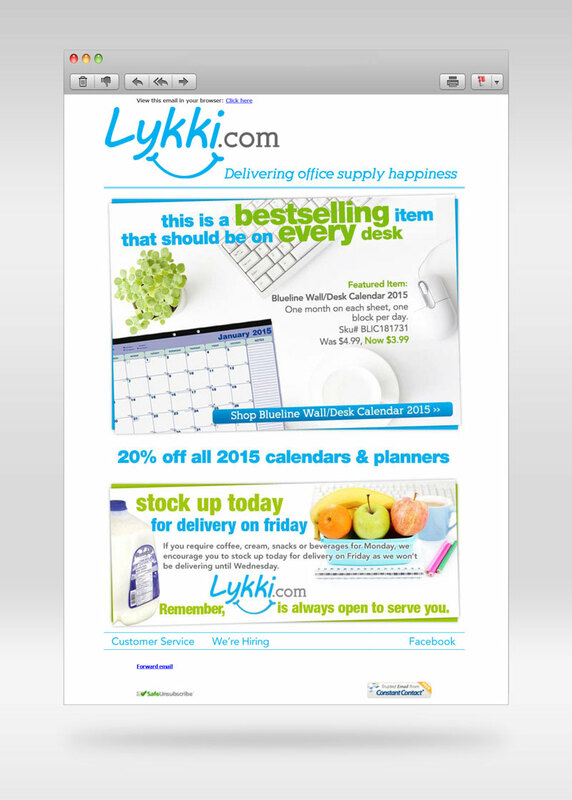 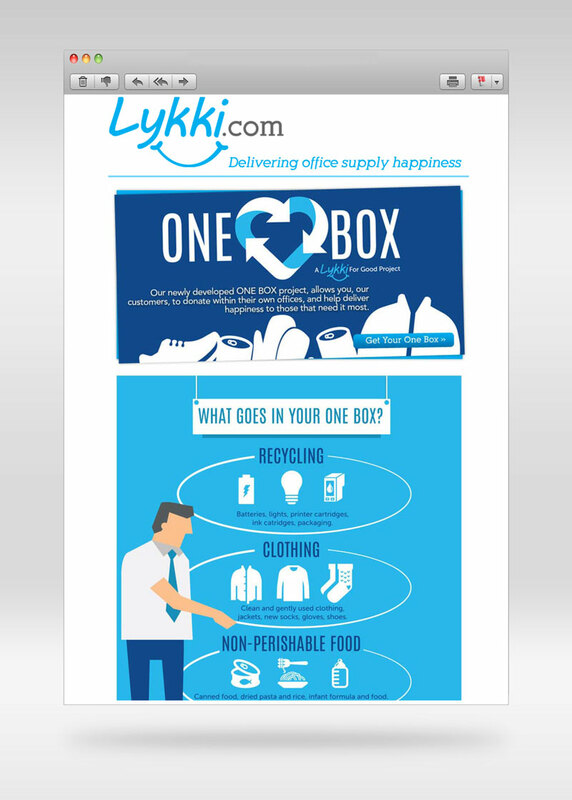 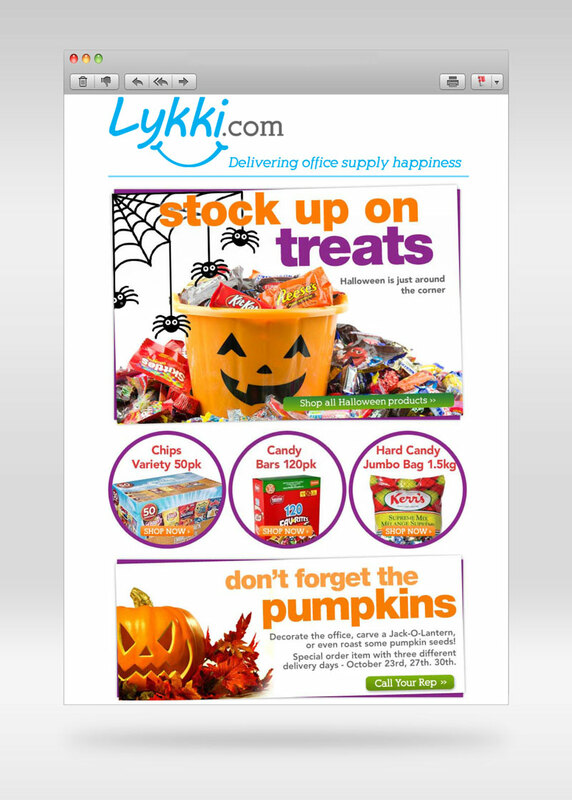 www.lykki.com – online retailer of business supplies including Office Supplies, Breakroom Supplies (coffee, bagels, cereal, milk – even fresh fruit to only name a few) as well as Cleaning Supplies (tissues, Lysol wipes, sprays, mops, etc). 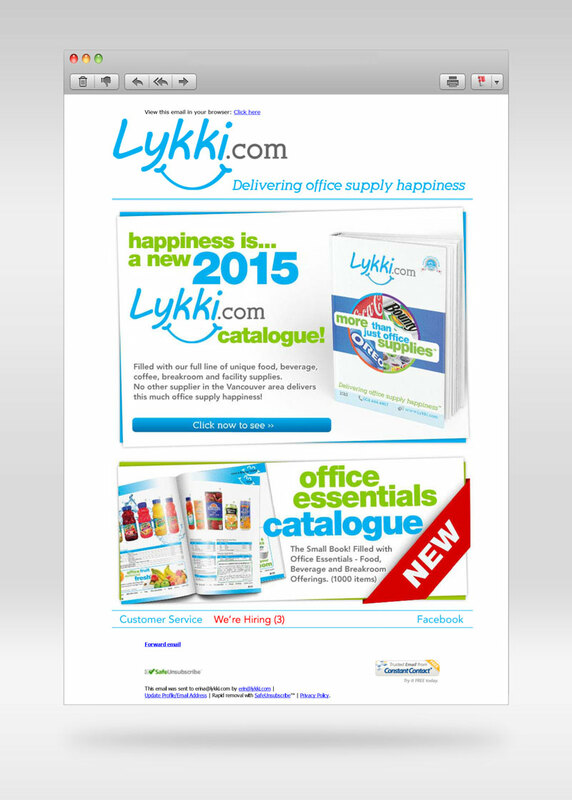 Over 50,000 products in all, delivered next business day to all businesses in Metro Vancouver.